Who could forget their first view of Adam Ant on Top of the Pops, white stripes across his face, swaggering to the beat of 'Antmusic' or in frilly shirt and mask for 'Stand and Deliver'? One of the most successful pop stars of the 80s, his face adorning posters on teenager's walls from Acton to Akron, Adam Ant was a phenomenon. Now in this frank and revealing autobiography, he tells the full story of his amazing life from his dysfunctional childhood to his key role in the punk movement and creation of a unique musical style that brought him a string of hits (both singles and albums). At one point he was so famous other stars sought his company and advice - even Michael Jackson called in the dead of night to ask about music and clothes. His many girlfriends included Jamie Lee Curtis and Heather Graham and for a time he lived in LA, acting in fifteen films. Adam also writes honestly about his life-long battle with manic depression. His first episodes were triggered by the stress of living with a violent, alcoholic father, and he tried to commit suicide when he was at art school. A gruelling episode with a stalker in LA precipitated a mental breakdown, and a stalker in London led to his well-publicised arrest and hospitalization in 2001. At times funny and at other times tragic, this is gripping account of the turbulent life and times of one of music's most fascinating figures. 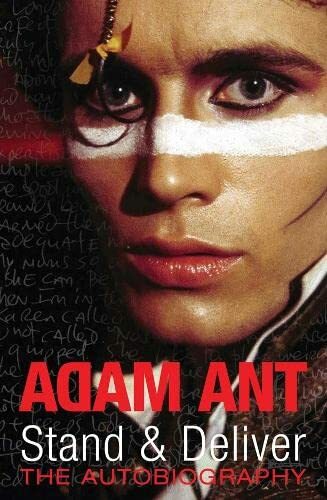 The remarkable autobiography of one of music's iconic figures, Adam Ant, now back on tour.